Feeling angry, depleted, frustrated or anxious? Wondering how to make the most of these years despite the enormous challenges and struggles that exist in daily life? I see so many amazing people struggling in their lives. They try to use strategies and tactics that simply don’t work for them—at least not for long—especially in the wake of the epic shifts that are going on within and around us. By now you’ve learned that there are really no quick fixes to create the life you want. That is why I created the Vibrant Midlife Academy—a 6-month, comprehensive program unlike any course, training or program you’ve ever taken before. You won’t learn skills that only frustrate you because you don’t put them into practice. Instead you’ll gain the INSIGHT and STRATEGIES and have the TIME necessary to adequately process and make the shifts that you CAN make given the right SUPPORT. You will learn to successfully build the life of your dreams during this yearlong deep dive. How to internalize practices that will support your mind-body-heart. Ways to develop the wisdom and capacity to enjoy your life despite inevitable challenges and losses. Learn to strengthen your ability to forgive, to be grateful, compassionate, self-loving and loving of others. How to create relationships and support systems that help you to thrive. How to plan for the future but live in the present. Find the meaning and fulfillment you desire during these years. This program is limited to 10 committed people that are willing to go the distance to create the life of their dreams. The truth is we can only be sure of “what is” at this moment. Still, we have to plan for the future with the idea that we have much ahead and want to make the most out of this one precious life of ours. Also true is that your unique talents and abilities already lie within you. It’s a matter of unearthing or building upon those qualities so that you can flourish no matter what life brings. The learning curve you need to access personal well-being and meaning requires a systematic practice, processing and internalization of skills. The good news is that it’s not too late! The ability to feel nourished and fulfilled at the deepest layers IS within reach! Participating in The Vibrant Midlife Method has been a life changing experience for me. I have taken many Transformational courses throughout my life, but this program provides you the tools to enhance your life in ways that truly make a difference on a very deep and spiritual level. 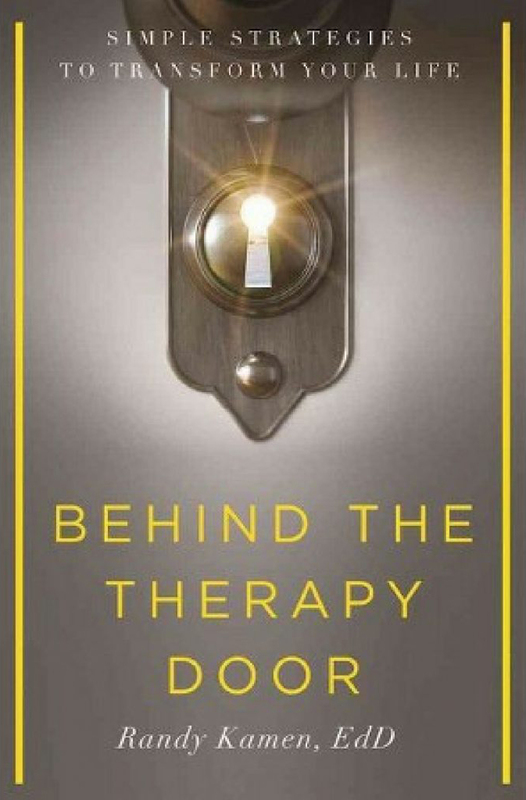 Dr. Kamen leads her program with compassion and directs each participant to a deeper level of understanding the issues that interfere with them leading a joyful and fulfilled life. Each session builds brilliantly from the last one, allowing your journey to keep moving forward and you to feel successful. 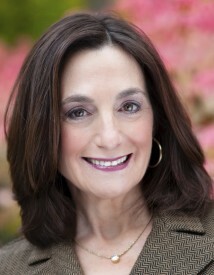 Dr. Kamen has created a magnificent program that demonstrates her commitment and passion for her work. I’ve been working with Randy for only a few months now; the methods and exercises that she has taught has already made a substantial positive impact on several facets of my life. I’m happier, more relaxed, less stressed (and much better prepared to handle stress when it does take over). My sleep has improved, energy has increased, and I’m more patient. I’m trying new things! I refer back to Randy’s writings and recordings regularly to reinforce what she is teaching, and I am convinced that if I stick with it, everything will continue to improve. The live weekly meetings also reinforce what has been taught, encourage us, and give us insight into how others are reacting and finding meaning in Randy’s exercises. This is a truly worthwhile, thought provoking, and life improving experience and I am confident that any woman (of any age) would benefit from it. I have experienced tremendous personal growth from the Vibrant Midlife Academy. Randy has given me many tools and insight helping me to let go of my unhealthy habits and move forward to a healthier and more successful life. I learned how to stand in my power and live in a way I had only dreamed about in the past. I am so grateful. 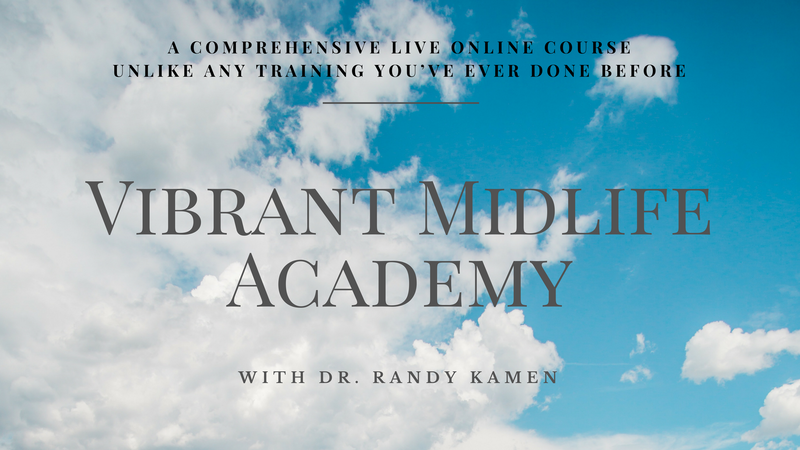 Dr. Randy Kamen is a valuable resource for anyone hoping to create meaningful change in their life! Perhaps one of her greatest skills is cultivating a warm, supportive community that consistently sparks insights, motivation, and accountability. Not only will you gain new strategies for moving forward, you’ll also make good friends on the journey. Thank you, Randy! Why should you enroll in VMA? This training offers an integrated approach to well-being while finding more joy and fulfillment in midlife. This evidence based course incorporates the best of mind-body practices and positive psychology. It will take no more that 20-30 minutes daily to incorporate the cutting edge material and strategies you’ll receive in this training. The live online group sessions 3x monthly along with a monthly private session with Dr. Randy and your personal commitment to regular practice will assure your ability to fully “own” this transformative process. 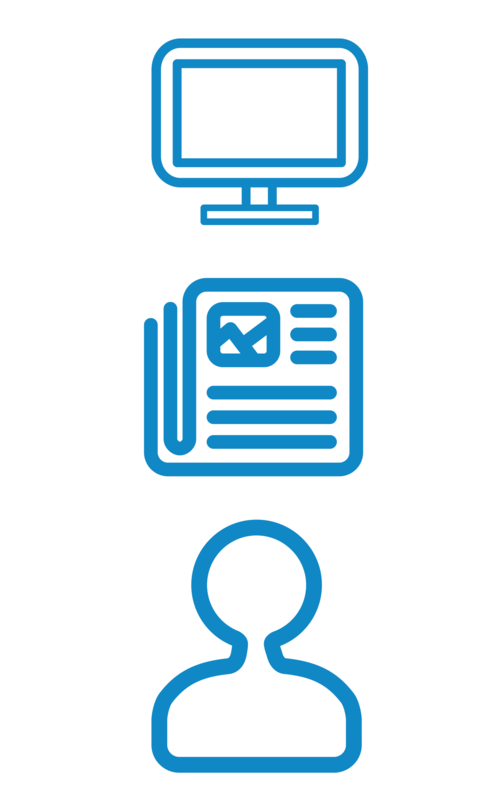 schedule a Discovery Session by clicking here. © 2017 Vibrant Midlife Academy. All Rights Reserved.